Men's Fashion Design Stitched Sawtooth Pattern Leather Belt is made of cowhide leather, it is use second layer leather, the price will competitive than first layer leather. It is ok for us if you want to make first layer leather. 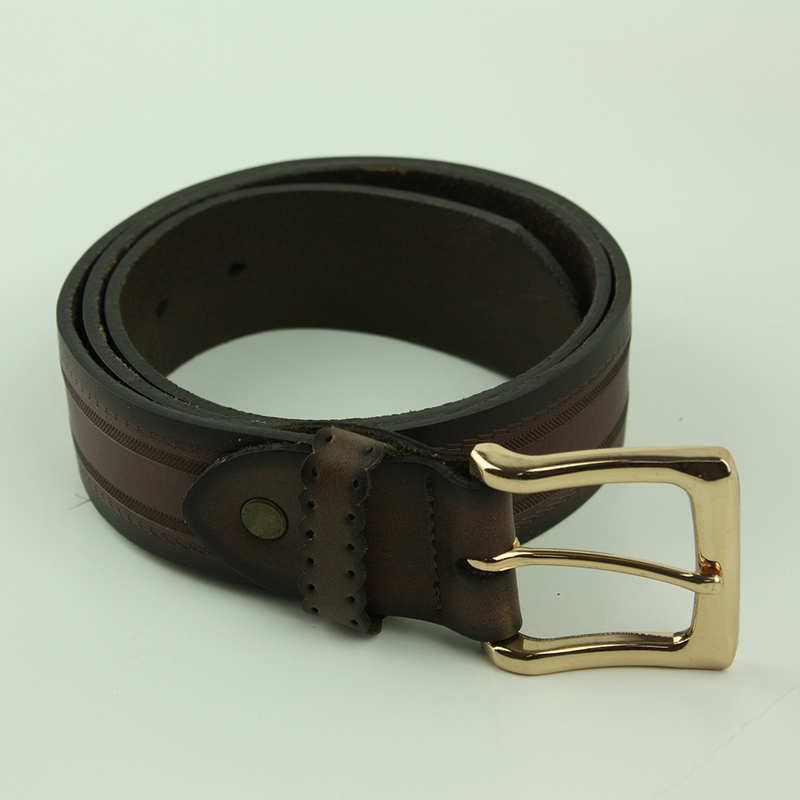 The width of Cowhide Leather Belt is 3.8cm width, L115-135cm. It is suitable for men waistline, if you need use for women, it can be adjustable. The Men's Fashion Belt is cawtooth pattern, if you want other patter, it is ok for us. 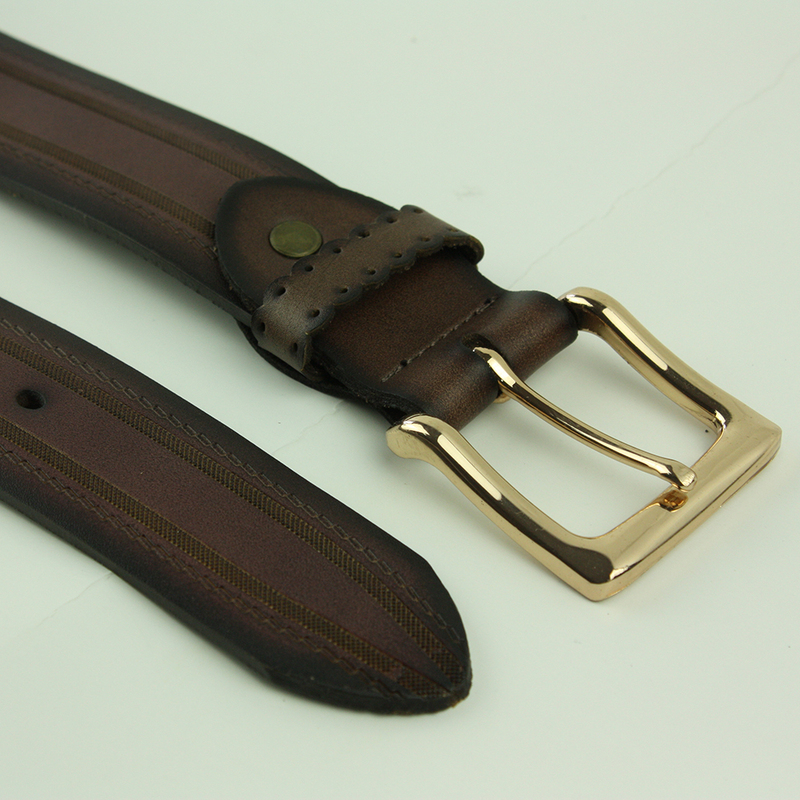 The Buckle of Brown Fashion Belt is pin buckle, We have more buckle can be choose, meanwhile, we can accept to open mold for you. Q: 1. Can I do a test order which quantity less than regular MOQ? A: Certainly OK, sample orders less than the MOQ are OK, but you need to pay the sample fee and plate fee. Plz be informed the cost of it will be higher than MOQ price. Q: 2.Can you do customized logo? A: Yes, we can do customized logo according to your request. Plz advise your logo artwork. Q: 3. How to place order? A: We will quote a price to you based on your request details. After you confirmed the quotation and confirmed the sample. We will send you P.I. to confirm order. Q: 4.What is your payment term? A: Usually, we do 30% T/T deposit, 70% balance to be paid upon B/L copy. 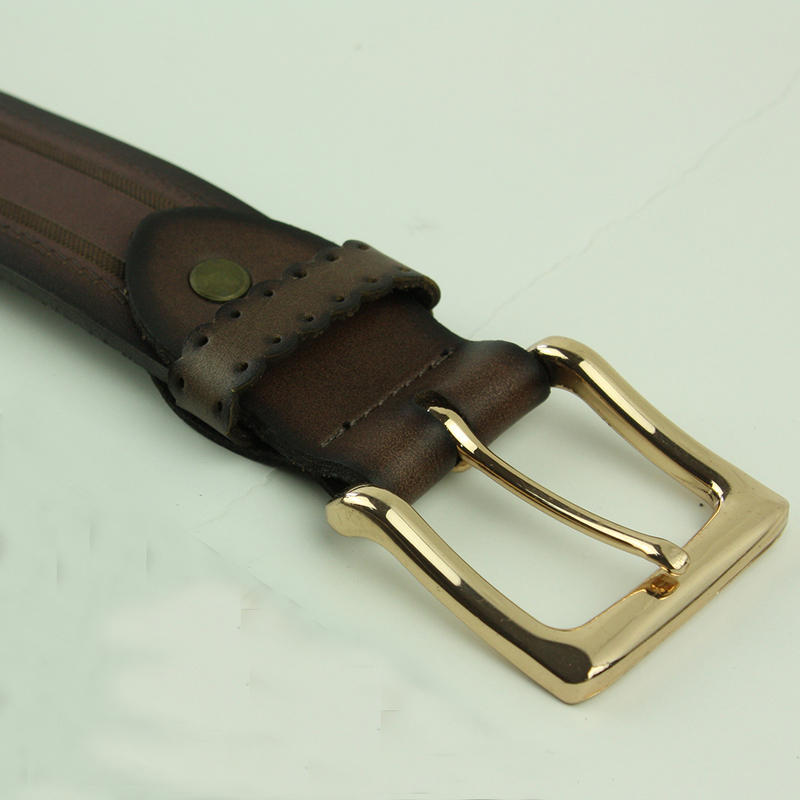 Looking for ideal Fashion Design Belt Manufacturer & supplier ? We have a wide selection at great prices to help you get creative. 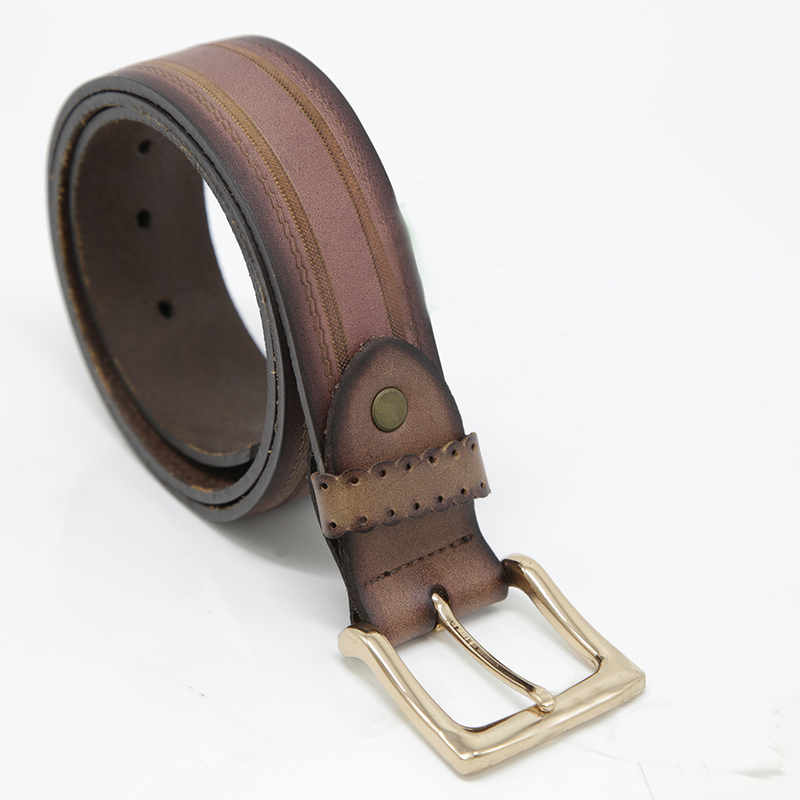 All the Stitched Leather Belt are quality guaranteed. 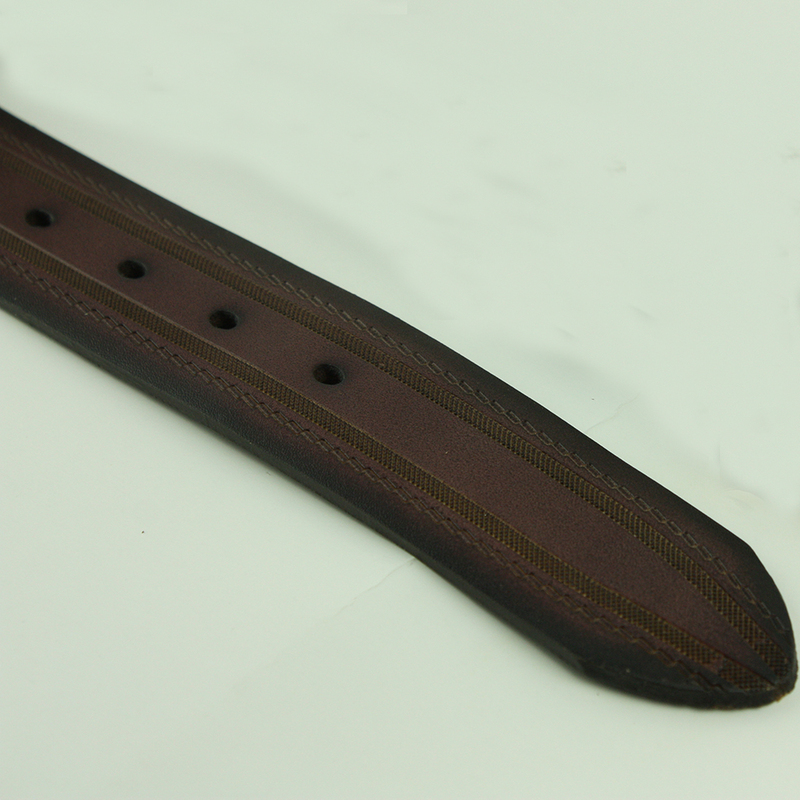 We are China Origin Factory of Sawtooth Pattern Belt. If you have any question, please feel free to contact us.